and Roy Beaton. 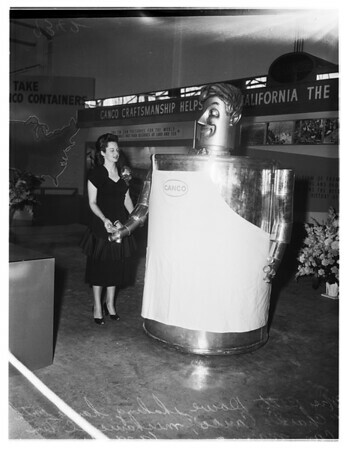 Two shots: Mrs. Bette Dowe, office employee, shaking hands with 'Charlie Canco', mechanical tin can man. Gershon to Stevens -- 1o8p".